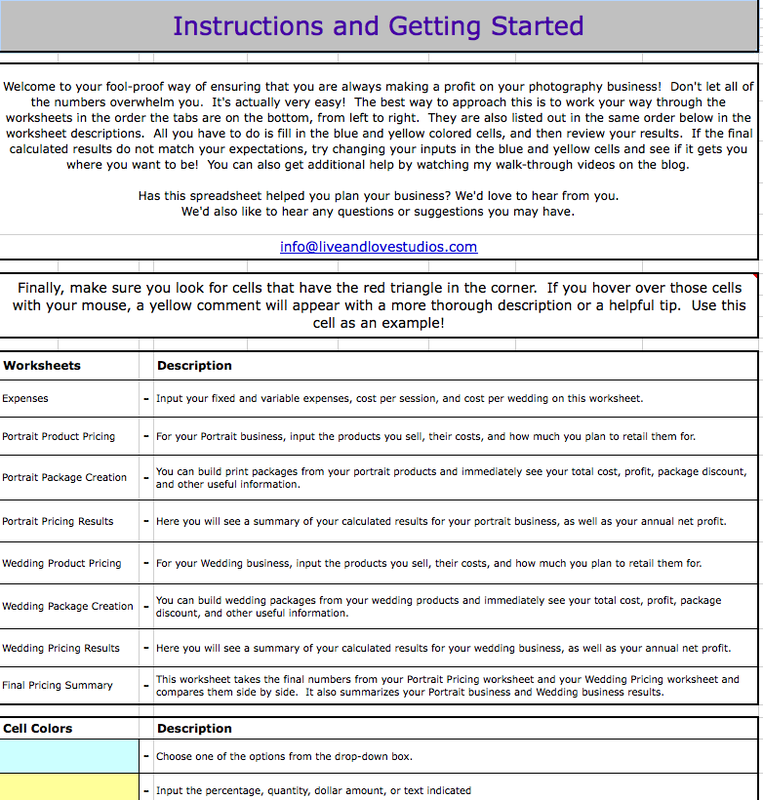 How to price a photography business easy and profitably! Price your business, so you are always profitable! Get recommended retail prices on your prints and product offerings, based on their costs and your time. Build the most profitable packages from your products for your business. See where your money goes with an easy-to-read chart. Immediately see how changes in your pricing, expenses, or workload impact your profit. Be able to confidently make critical decisions quickly and confidently as your business grows. 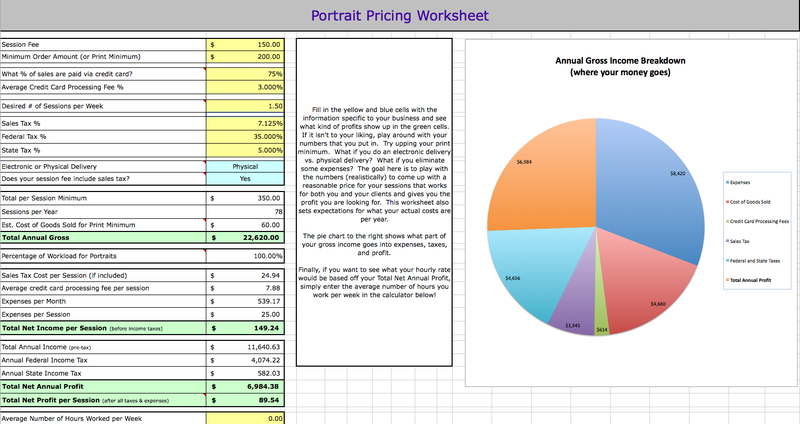 Customize the pricing workbooks based on how you want to run and price your business. Do you know how to price a photography business? 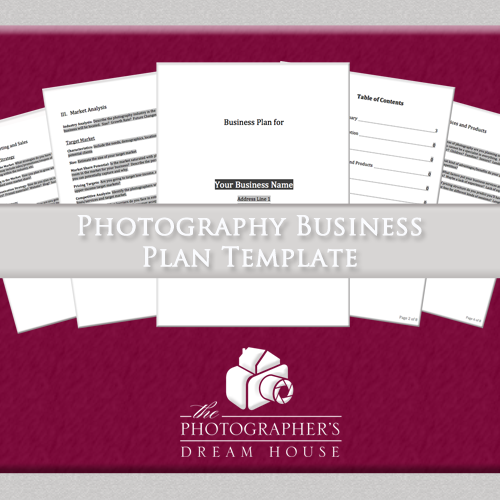 New and seasoned photographers can both benefit from this workbook. 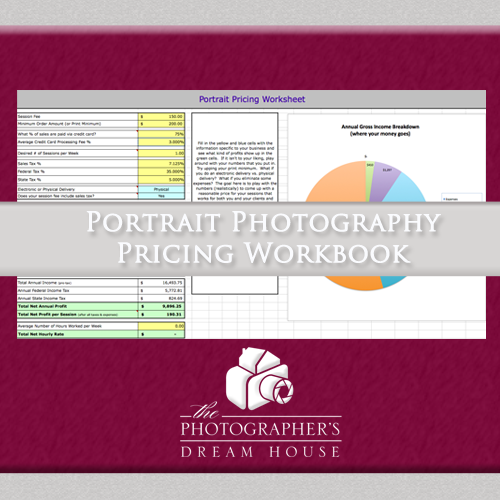 If you are a beginner, this is a great training tool for understanding how to price a photography business. 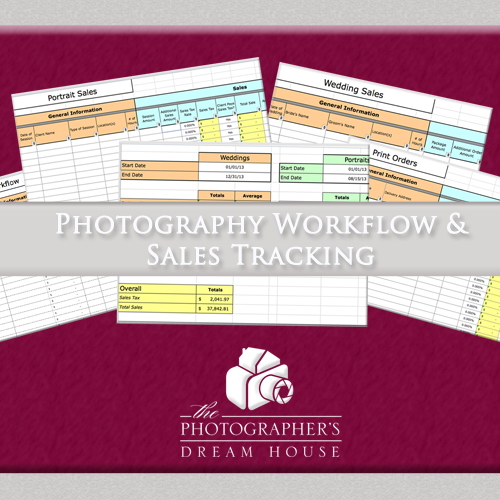 If you are a seasoned photographer, this workbook is exactly what you need to efficiently organize your products and packages, and see how business changes affect your net profit. Ensure you ALWAYS make a profit on your products, packages, and your overall business. Prevent getting blindsided with what you owe for income taxes. 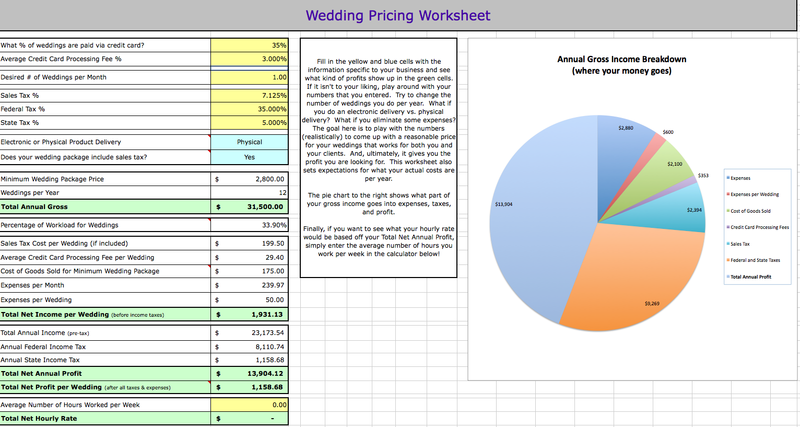 Determine a realistic workload in relationship to your pricing. 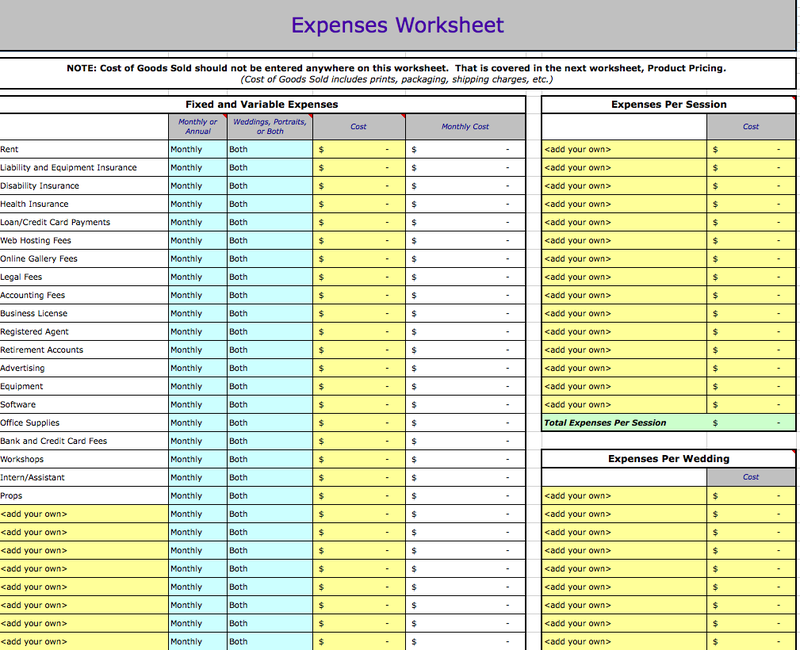 You get both a Numbers and an Excel version of the workbook. The Numbers version will work wherever you have Numbers installed, including iPhones, iPod Touches, and iPads. 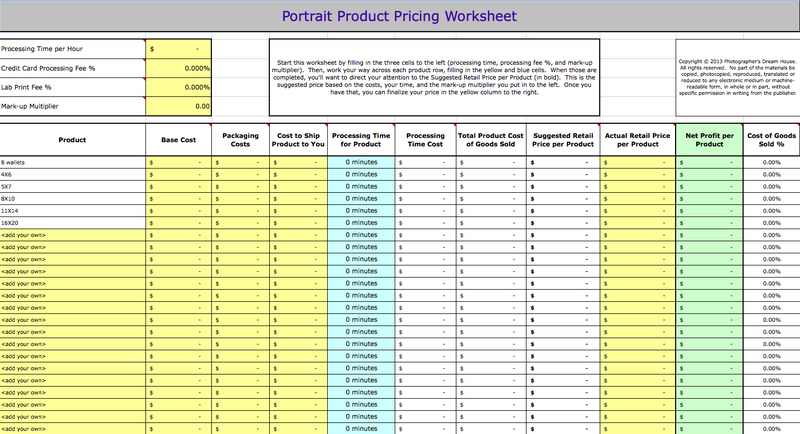 This is the only photography pricing guide on the market that will work in Numbers! Unfortunately, the Excel versions will not work on a mobile device or tablet, so in order to have it work on a mobile device, you will need Numbers installed. 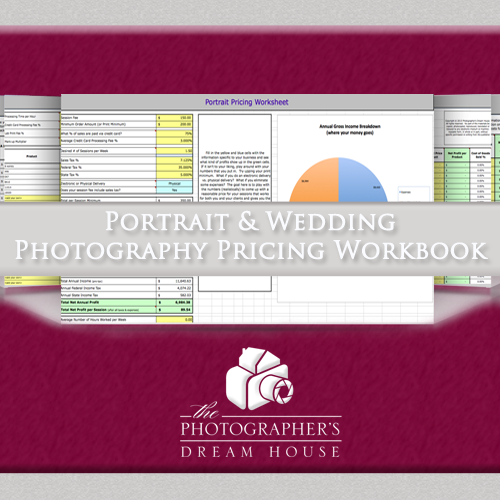 To see the Portrait and Wedding Photography Pricing Workbook in action, watch the video below!